Please call Montgomery County Office for Aging’s Molly Capito, M.S. 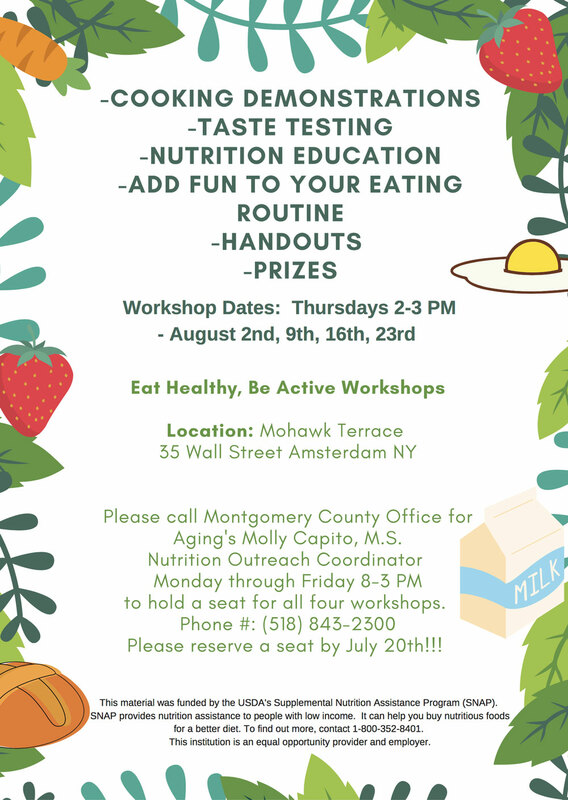 Nutrition Outreach Coordinator Monday through Friday 8-3 PM to hold a seat for all four workshops. Phone #: (518) 843-2300 Please reserve a seat by July 20th!! !